Welcome to St Olav's Parish! For news items in English click here, for contact details click here and for information about our priests click here. We are in the process of updating the parish website: apologies for any inconvenience caused! 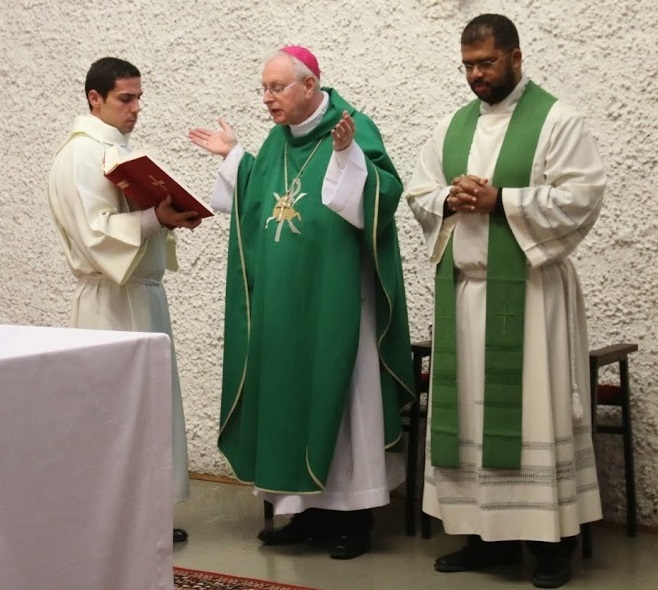 Bishop Teemu Sippo SCI celebrating Mass at St Olav's in 2013. Old-style Mass in Latin mostly on Tuesday eveneings. For more information, please contact Father Anders Hamberg.